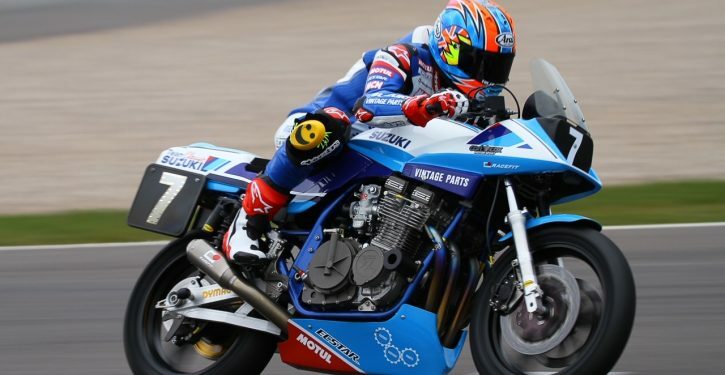 Home » Bike Reviews, News & More » Endurance Legends 2018 – Full Gas for Four Hours! The second round of the European Endurance Legend Cup comes to Donington Park this weekend, and it looks like we’re set for some sizzling competition. 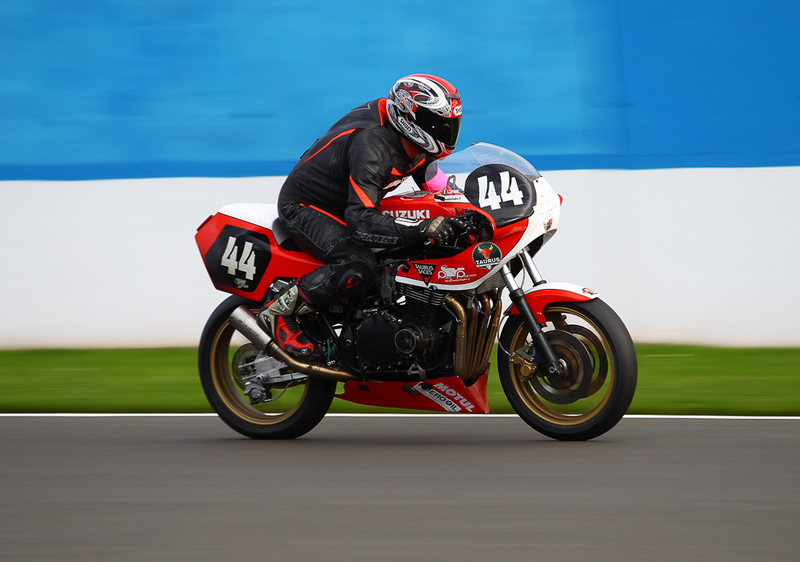 The Endurance Legends four hour classic endurance race sees bikes competing in four classes, and we’ve picked out some of the ones to watch. With eleven teams competing in Superbike the stage is set for a spectacular battle between the some of the most experienced endurance teams; Phase One (Linden, Brasher & Gowland: P&M Suzuki) and Team Force (Mertens, Le Bhian & Mertens: Harris Suzuki) face an exceptional field of teams and bikes, including Team Classic Suzuki (GSX 1100 Katana) with riders Steve Parrish, Michael Neeves and John Reynolds who makes a very welcome return to racing. 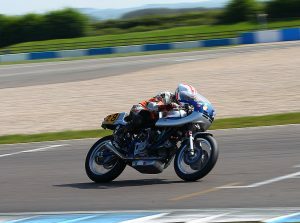 Guy Martin and Pete Boast are back on the Team Lincs Classic Suzuki GSX-R1100 XR69, and a leftfield challenge might just come from BSK Speedworks BMW K100RS (Kingham, Killworth) or the Muzzi Moto Dr John Replica Moto Guzzi 1064 (English, Firmin). 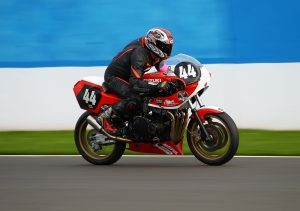 The largest class in this year’s 4hr race will see fierce competition between Team Roadrunner (van der Mark & Brand: Suzuki GSX1100) who won the first race of the season at Paul Ricard, and the team that dominated classic endurance last year; Neate Racing (Harris Magnum Honda RSC1100) and the father and sons riding combo. A few more to keep an eye in this class are Team Taurus (Cantalupo & Caprara: Suzuki GSX1150) from Italy, Team SCERT (Boam, Clark, Harris Suzuki XR69) and Dynotech (Appleton, Gysbrechts, Manning-Morton, Suzuki GSX1170) and Team NZ Wild Hogs (Dalton & Woolford: Suzuki GSX1100 Katana) who have travelled from New Zealand to race at Endurance Legends! The Motobel Moto Guzzi Le Mans III (Artigues & Sardi) finished in a very strong second place at last month’s Sunday Ride Classic season opener, but they face stiff competition at Donington from Scuderia ACR III’s Ducati 900SS and the German Guzzi Classic Team’s Moto Guzzi Le Mans, plus a serious home challenge from Richard Wilson and Dave Sellars aboard their BMW R1000. 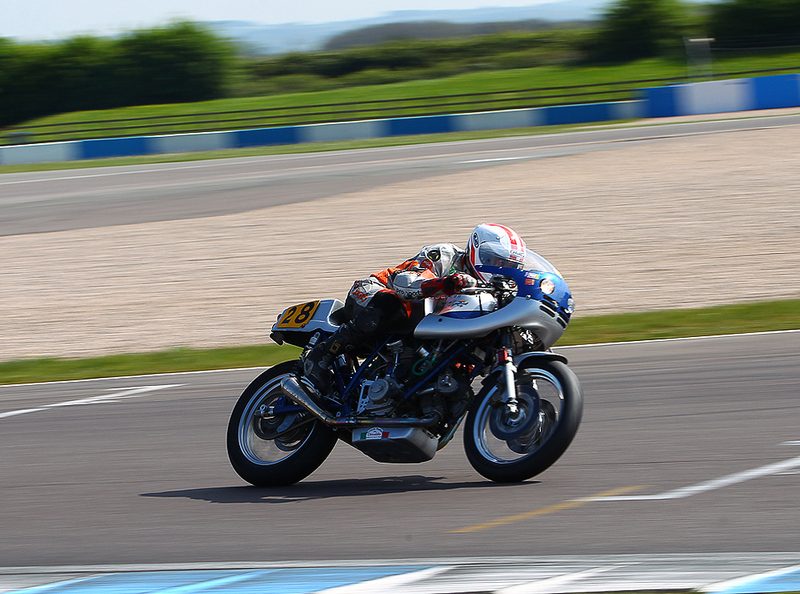 Another hotly contested class with 17 teams entered including the Parts Europe Honda VFR750 of White and Crampton which ran well at the opening round, as did the Team Allens Performance VFR750; Panter, Wheeler and Fay White – the only lady racer at Endurance Legends. 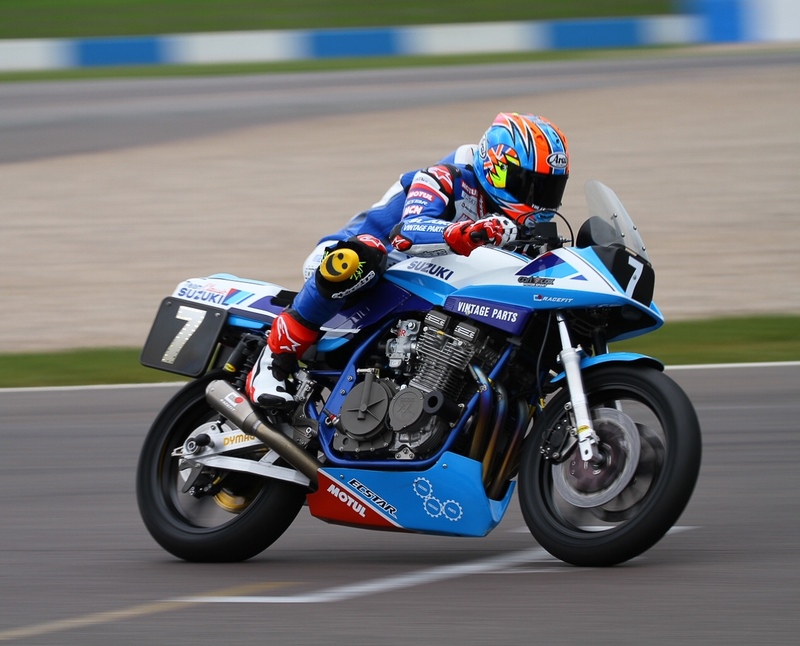 We’ll be keeping a close eye on Scarab Racing’s Yamaha FZ750 (Hallas, Blackley), Team Demar’s Suzuki GSX-R750 (Edwards, Wilkinson, Smith) and the experienced team of BAR Racing (Russell, Barfe & Russell) aboard another GSX-R750. Superbike: Up to 1986, up to 1300cc displacement with air, water or oil cooling – original,modified original or aftermarket frames. Legend: Up to 1984 air-cooled four-stroke, air or water-cooled two-strokes, 1300cc maximum displacement. Original, modified original or aftermarket frames. Classic: Up to 1981, air-cooled four-stroke, air or water-cooled two-strokes, 4-valve engines to 1000cc, 2 valve engines to 1300cc. Original or modified original frames. Superstock: Up to 1986 four cylinder 750cc or twin cylinder 1000cc machines with air or water-cooling and original frames; no engine tuning is allowed. 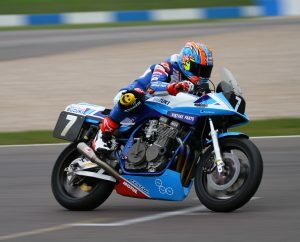 Advance tickets are available now via Donington Park’s website; https://doningtonpark.msv.com/DP-18-Endurance or you can buy tickets on the gate on both day.